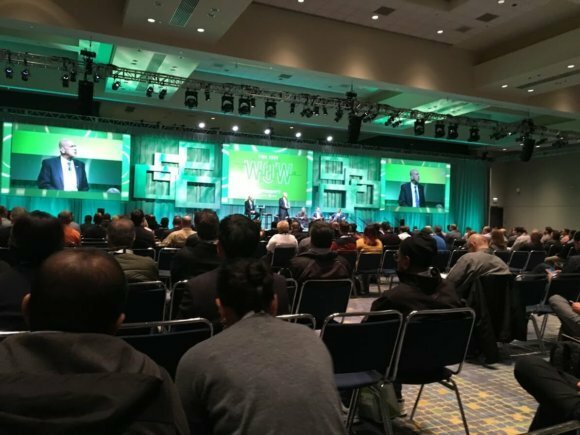 MHI presented the sixth in a series of MHI Annual Industry Reports developed in collaboration with Deloitte Consulting LLP at ProMat 2019. Chicago, IL – MHI has released the sixth in a series of MHI Annual Industry Reports developed in collaboration with Deloitte Consulting LLP. The 2019 MHI Annual Industry Report, titled “Elevating Supply Chain Digital Consciousness” provides new insights into trends and technologies that are having a dramatic business impact on supply chains and the people who run them. Over the next five years, Predictive Analytics is expected to reach an 87 percent adoption rate, followed by IoT at 80 percent, Robotics and Automation at 72 percent, Artificial Intelligence at 55 percent and Driverless Vehicles and Drones at 51 percent. The Supply Chain DCI quantifies the current level of supply chain digital consciousness, as well as measuring progress made toward the desired end-state. It helps firms determine the current state of their digital consciousness, determine and prioritize gaps in order to develop a comprehensive strategy for digital consciousness that meets their unique business goals. “As digital capability fuels customer expectations to unprecedented heights, NextGen supply chains must be proactive, predictive and prescriptive, with all of its links interconnected and synchronized to the same drum beat of consumer demand,” said Scott Sopher, principal, and leader of the global supply chain practice at Deloitte Consulting LLP. “As the pace of supply chain innovation escalates, so does the price of inaction. Leaders will outpace their competitors faster than ever,” added Prest. Zebra also announced the new TC8300 touch computer and ATR7000 RTLS reader providing companies with a performance edge through improved worker productivity and increased real-time visibility into business operations in industrial environments. COLUMBUS, Ind. – The assets of Hoist Liftruck Mfg., LLC, have been acquired by Toyota Industries North America, Inc., effective April 1, 2019. The name of the new company is Hoist Material Handling, Inc., and it will be managed directly by Toyota Material Handling USA in Columbus, IN. The acquisition adds to Toyota’s already robust forklift product line. Hoist Material Handling’s headquarters and 550,000-square-foot factory are in East Chicago, IN., with sales offices in downtown Chicago. Hoist has nearly 25 years of experience manufacturing heavy-duty cushion tire and pneumatic forklifts, reach stackers, container handlers, and more, ranging in lift capacity from 7 to 57 tons. Hoist Material Handling will be led by Dan Kossow, General Manager and Vice President; Bob Miller, Vice President of Engineering; Stu Jacover, Vice President of Sales; and Ryan Delaney, Vice President of Operations. Delaney, who spent the last six years as Director of Quality for The Raymond Corporation, will join the Hoist Material Handling team in East Chicago reporting to Tony Miller, Senior Vice President of Operations and Engineering for Toyota Industrial Equipment Manufacturing. Toyota has had an original equipment manufacturer (OEM) agreement with Hoist for the manufacture of large-capacity forklifts under the Toyota Heavy Duty (THD) brand since 2015. KNOXVILLE, Tenn. – Adrian’s Safety Solutions is pleased to announce the launch of their new Modular Pallet Rack Safety Netting. 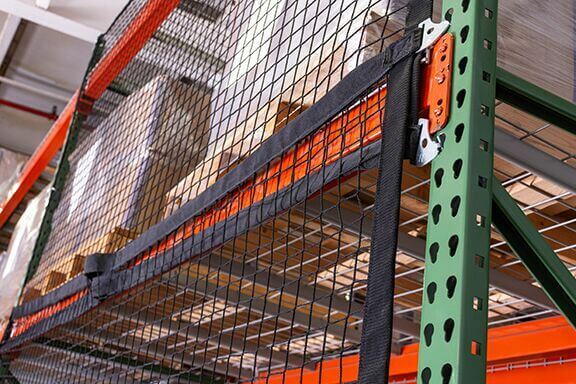 The latest addition to their pallet rack safety line is designed for walkway and work area product fall protection. The modular design allows for overlapping or tiling, so any space can be easily protected right out of the box. Modular Safety Netting keeps loose items or cartons from falling into a workspace or aisleway. Like all Pallet Rack Safety products from Adrian’s Safety Solutions, the Modular Safety Netting is designed to be installed easily and quickly without retrofitting, tools, or long periods of downtime needed for complicated installation. This new industrial netting will be manufactured with the same premium hardware connectors that Adrian’s uses in their existing no-tools-needed products including the Rack Safety Strap and Rack Safety Net. In addition, optional carabiner hardware assemblies are available for even more protection, depending on your application. Vecna Robotics (Vecna), a leader in autonomous logistics solutions, continues to keep their customers one step ahead of the competition by unveiling fifth generation autonomous pallet handling. Vecna’s new Pallet Jack will be the first self-driving vehicle to include autonomous pallet identification, lifting, and pickup. The model also features an OEM agnostic base. 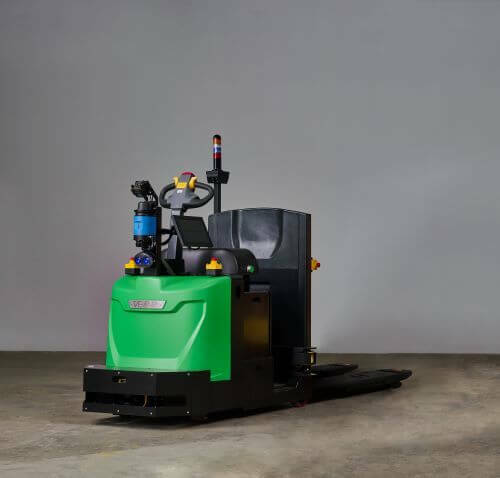 Vecna’s Pallet Jack is the latest self-driving vehicle in an extensive fleet that features mobile tuggers, conveyors, storage and retrieval systems. The enhanced software delivers faster, smoother pickups across a broader variety of pallets and goods, including pallets with bottom boards and partial pallets. This new technology is a further extension of Vecna’s cutting-edge Autonomy Stack. Vecna’s Autonomy Stack instills independence in all its vehicles with dynamic obstacle avoidance, topological reasoning, local decision making, high-confidence navigation, and self-learning capabilities. The Autonomy Stack enables Vecna vehicles to learn new skills as they work through diverse levels of demands, seasonal needs, and market changes – creating a constant cycle of improvement and maximizing productivity no matter the situation. 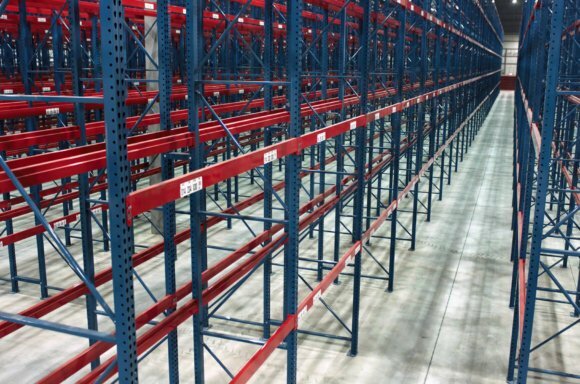 Because they are often used in high turnover areas and operated in close proximity to forklift traffic, drive-in, and drive-thru racks are subject to greater wear and tear than other rack structures. 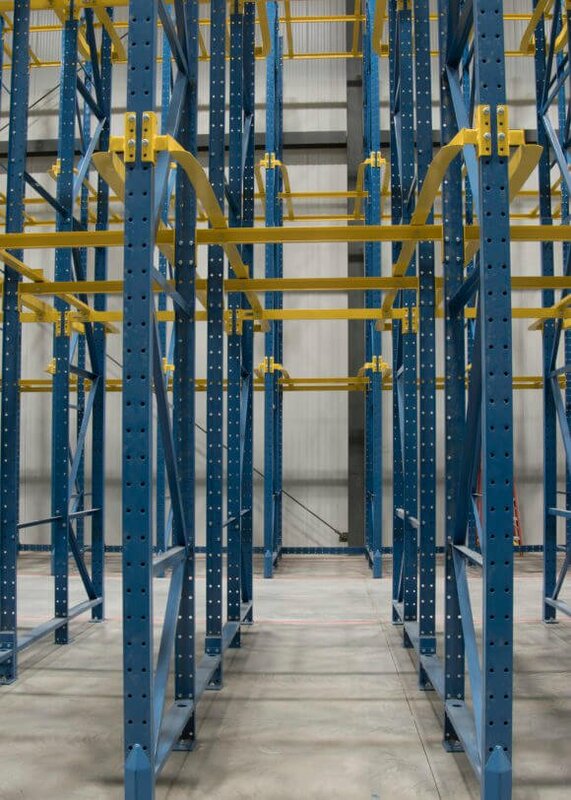 Steel King’s drive-in rack system is engineered and manufactured to better stand up to this wear, making it the market leader among drive-in racking systems. Irvine, CA February – OneCharge Inc. (www.onecharge.biz), a leading provider of lithium motive batteries for the material handling industry, has signed an aftermarket sales agreement with Hyster-Yale Group, Inc. to sell OneCharge lithium batteries through authorized Hyster® and Yale® dealers. OneCharge lithium batteries have full communications integration with Hyster® and Yale® electric lift trucks. The plug-and-play configuration allows a lithium battery to integrate seamlessly into the truck, retaining full functionality of the battery state of charge indicator and low battery warning system. “We see rapidly growing interest in and adoption of lithium-ion solutions among our dealer network and valued customers,” said Steven LaFevers, Vice President, Motive Power & Telematics. “Offering this plug-and-play solution supports our vision and provides robust and advanced methods of motive power in the industry,” continues LaFevers. Many companies in North America use OneCharge batteries. These clients work in food, manufacturing, distribution, 3PL, consumer packaged goods, and other industries. Every OneCharge battery features data processing module tracking numerous operational parameters. These data gathering capabilities coupled with highly-efficient communications infrastructure allows to acquire and analyze significant volumes of data further enabling value-adding services for the customers. Such services can range from daily usage reports to Energy as a Service (EaaS) offering, which is sometimes referred to as “power by the hour”. OneCharge is working towards securing full UL Listing in Q1 2019. OneCharge batteries will be listed under UL standard 2580, which makes them also conform to the requirements for the UL583 standard for electric lift trucks. Hyster-Yale Group, Inc., designs, engineers, manufactures, sells and services a comprehensive line of lift trucks and aftermarket parts marketed globally primarily under the Hyster® and Yale® brand names. Subsidiaries of Hyster-Yale Group include Nuvera Fuel Cells, LLC, an alternative-power technology company focused on fuel-cell stacks and related systems, on-site hydrogen production and dispensing systems, and Bolzoni S.p.A., a leading worldwide producer of attachments, forks and lift tables under the Bolzoni Auramo and Meyer brand names. Hyster-Yale Group, Inc. is a wholly owned subsidiary of Hyster-Yale Materials Handling, Inc. (NYSE:HY). Hyster-Yale Materials Handling, Inc. and its subsidiaries, headquartered in Cleveland, Ohio, employ approximately 7,700 people worldwide. OneCharge is one of the largest developers, manufacturers, and integrators of lithium-ion batteries for lift trucks in the United States. The company sells large quantities of industrial batteries for warehouse equipment. It successfully collaborates with several OEM market leaders. While competition is mainly focusing on R&D activities, OneCharge is commercializing lithium-ion battery technology. The company’s aim is to create easy and ready-to-use solutions for a wide range of industrial clients. This strategy has allowed the company to enter several markets quite rapidly. OneCharge acts as a ‘change ambassador’ in relation to new technologies implementation. The company is continuously investing in technological development. It has been exploring new chemical compositions for batteries that could reduce the cost of the product while improving the operational characteristics. New developments are quickly implemented in the production process and are gradually becoming new benchmarks on the market. The company does a lot to ensure that the maintenance of its batteries is as simple as possible. It has developed a special modular component system that allows streamlining service department training in order to accelerate the lithium batteries’ acceptance on the market. For more information, visit www.onecharge.biz. Germantown, WI (March 1, 2019) – Systems LLC, a leading manufacturer of loading dock equipment, has announced the release of its new iDockTM Connect solution, online software for loading dock analytics. 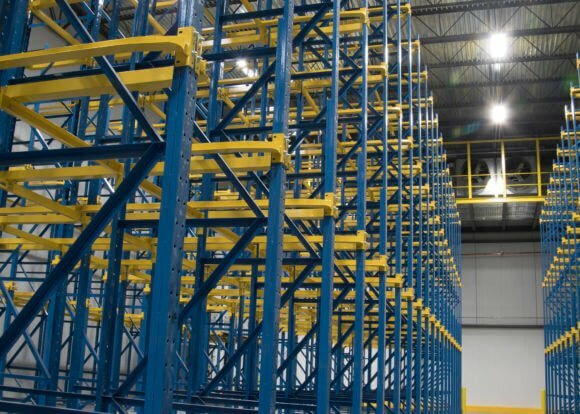 Many warehouse and distribution centers utilize software and IoT technology to manage their daily operations, but data and resources often fall short of including a facility’s loading docks. IoT technology is being incorporated throughout the industry, and now iDock Connect brings it to the loading docks. Once a facility installs iDock Controls and powered dock equipment from brands of Systems (Poweramp, McGuire, and DLM), they have the option to add various sensors to track activity and send that data to the cloud through iDock Connect. Facilities can log in to their online account at iDockConnect.com from any device with internet connectivity. From there they can view visual reports with current dock activity, review efficiencies of loading/unloading, and compare operation analytics of their docks between two different time periods. iDock Connect can also be set up to send email and text notifications of events at the loading docks, such as truck arrival/departure, maintenance past due, after-hours activity, doors left open, and more. These alerts, along with dashboard reports, will help a facility’s loading docks boost productivity, simplify maintenance, prioritize safety, and tighten security. IoT technology continues to grow in every aspect of the material handling industry. It allows facilities to improve their operations, and in the case of iDock Connect, continuously analyze their efficiency to ensure they’re maintaining a safe and productive work environment. iDock Connect will be showcased for the first time live in Booth #1171 at Promat in Chicago, April 8-11. Under the brands of Poweramp, McGuire, and DLM, Systems has been a leading manufacturer of loading dock equipment since 1961. With its headquarters and manufacturing in Germantown, WI, Systems also has a state-of-the-art manufacturing facility in Malvern, AR. All products manufactured by Systems are made in the USA.